2…Wins by Washington State over #1 Arizona State. By taking two of three games in the series in Pullman the Cougars won their first series in program history over the Sun Devils. Press Play To Listen As You Read! 6…Cougars who were hit by pitch in Sunday’s 9-5 series-clinching win over ASU. Garry Kuykendall was plunked three times. 6…RBIs by Clemson second baseman Mike Freeman in Wednesday’s win over Georgia. Freeman played for the Bulldogs in 2007 before transferring to Georgia. 300…Career wins by Georgia head coach Dave Perno with a 6-5 Sunday win over Ole Miss-UGA’s only win in the series. Perno is in his 9th season at the helm at his alma mater. 15…Strikeouts in 8 IP by Ole Miss pitcher Drew Pomeranz in Friday’s 4-1 win over Georgia. It’s the second time this season Pomeranz has fanned 15 in a game. 14…School record runs scored in the first inning by Arkansas in Wednesday’s 32-8 win over visiting St. Louis. The Razorbacks also combined to tie a school record with 30 RBIs in the game. 2…Men named Fred Hill who were head coaches at Rutgers last week. Fred Hill, Sr.-of the RU baseball team and Fred Hill, Jr.-of the Scarlet Knight men’s basketball team. 1…Fred hill who is currently coaching at Rutgers after Fred Hill, Jr. was dismissed as basketball coach last week. The younger Hill’s dismissal was in part precipitated in part by an alleged profanity laced tirade directed at Pittsburgh baseball coach Joe Jordano during an April 1 9-8 win by RU. 2…Wins at Notre Dame over the weekend by Rutgers. Saturday’s 25-5 win gave the elder Hill and his team its first win at Notre Dame since 2002. The road series win at Eck Stadium is RU’s first since the Irish and Scarlet Knights joined the Big East together in 1996. 7…Home runs hit by Rutgers in Saturday’s 25-5 onslaught. 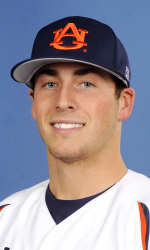 Outfielder Michael Lang had two of the long balls with 7 RBIs. 3…Wins needed by Fred Hill, Sr. to reach 1,000 for his career. He’s been the head coach at Rutgers since 1984. 1…Closer the Jersey coach could not use in Friday’s 9-8 loss to the Irish due to a jersey flap. His closer, Tyler Gebler, was wearing jersey #4 instead of his usual #43 in the game and with the tying run at 2nd base and two outs in the bottom of the 8th Hill went to the pen to the freshman. However, Gebler was ruled an illegal substitution in the game, because Hill had crossed-out Steve Nyisztor’s #41 instead of Gebler’s #43 on the line-up card he turned-in before the game. Hill had to go to Kevin Lillis, who gave-up back-to-back RBI hits, including Adam Norton’s game-winning triple. Gebler has a 1.50 ERA, while his 6 saves are tied for second-best in the Big East. 2…Triples hit and innings pitched by Notre Dame’s David Mills in Tuesday’s 13-6 win over Oakland. The lefty started the game as the Irish DH and later entered the game on the mound. He had 2 RBIs and pitched 4 innings in relief to earn another win on Friday in ND’s only win of the Rutgers series. 2…Wins by Pittsburgh over fifth-ranked Louisville in their weekend series at Pitt’s Trees Field. Losses Friday and Saturday to start the series, combined with a midweek loss to Kentucky, gave the Cardinals their first back-to-back setbacks of the season as well as their first series loss. 4…Runs scored in the top of the 9th inning of Sunday’s series finale to give Louisville a 9-7 win and avoid the series sweep. Adam Duvall and Ryan Wright each belted two-run home runs to provide the offense. 17…Combined runs surrendered 13 1/3 by Louisville starting pitchers Thomas Royse, Dean Kiekhefer and Gabriel Shaw in the three games vs. Pitt. Royse (6-1) suffered his first loss in the series-opener. Shaw was making his first start of the season in Sunday’s finale after 14 relief outings. 36…Combined runs that same trio had surrendered in 104 1/3 previous innings pitched this season. 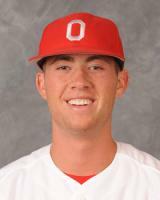 14…Strikeouts with no walks by Ohio State’s Alex Wimmers (7-0) in Friday’s 7-1 win over Indiana. Hoosier outfielder Alex Dickerson went 0-for-4 in the game to end his 21-game hitting streak. 4…Home runs in as many games to end the week by Duke’s Will Currier. His 8 RBIs over the weekend helped the Blue Devils take two of three games from #12 Clemson. 2…Hits allowed by Oregon State’s Greg Peavey in Friday’s complete game 4-1 win over #2 UCLA. Peavy’s efforts handed the Bruins their first consecutive losses after a midweek setback to Cal State Fullerton. 16…Innings needed for UCLA to beat OSU 3-1 in game two of the Pac 10 series on Saturday. The game lasted 6 hours and 23 minutes. 39…Combined runners left on base by the Bruins (22) and Beavers (17) in Saturday’s marathon. 529…Pitches thrown in the game by a total of 12 pitchers, including eight sent to the mound by Oregon State. 11…Consecutive scoreless innings pitched by UCLA pitchers-with seven scoreless frames to end the 16-inning game combined with four shutout half innings to start Sunday’s series finale, which the Bruins won 8-2. 18…Combined pitchers used by LSU (8) and Southern Mississippi (10) in Wednesday’s 6-5 win in 12-innings in Metairie, LA. 2…Wins by Auburn over defending SEC & National Champion LSU in their weekend series at Auburn’s Samford Stadium. The Tigers win game three 6-5 after a game-ending squeeze bunt by right fielder Justin Fredejas. 2 of 3…Wins by Oregon in its series at Stanford to give the Ducks their first Pac 10 series win since 1980 and their first Pac 10 road series win since 1976 at Washington. 21…Wins by Oregon through 32 games this season after winning just 17 games all of last year-the first year baseball was played at the school after it was disbanded following the 1981 season. 26…Game hitting streak by Kansas State’s Nick Martini-the longest active D1 streak in the nation this season. A pair of 21-game hitting streaks ended over the weekend. Martini had at least one hit in KSU’s series vs. Nebraska. His streak is a school record and the fifth-longest in Big 12 history. 62…Career stolen bases by Martini’s teammate, Adam Muenster, to set a school record that had held since 1995. 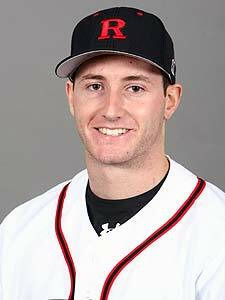 Muenster’s record-breaker came in Sunday’s 8-3 win over the Cornhuskers. 8,540…Fans who saw K-State take two of three games from Nebraska to set a 3-game series attendance record at Tointon Family Stadium in Manhattan. 9-0…Kentucky’s lead over Alabama heading into the top of the sixth inning of Sunday’s game in Lexington, KY.
11-9…Final score of Alabama’s win in that game. Jake Smith’s grand slam capped a 5-run sixth inning and the Tide scored five more runs in the 8th and another in the 9th to cap the biggest comeback in school history. 4…Combined shutout innings pitched by Alabama’s Tyler White and Nathan Kilcrease in Sunday’s improbable comeback. White got the win to improve to 3-1 while Kilcrease earned his second save. 3…Home runs off three different pitchers by TCU’s Jason Coats in Sunday’s 12-2 win over Houston. Coats’ efforts helped the Horned Frogs outscore the Cougars 33-3 in the series. 2…Wins by Virginia Tech over #14 Miami in their weekend series. The Hokies’ first ever series win over the Hurricanes comes a week after their first win over another traditional college baseball power-Florida State. 3…ACC series won by Virginia Tech all of last season. They have won four of five conference series already this season, with their only loss (a sweep) coming at the hands of Clemson. 2…Walk-off home runs in as many days by Bryant first baseman Jamie Skagerlind to help his team win three of four games vs. Central Connecticut State. Skagerlind’s shot in the bottom of the 10th inning ended Saturday’s 3-2 win in game one of a doubleheader. His blast to end Sunday’s 7-inning twin bill opener capped a 5-run Bryant rally. The game-winning blasts are his only home runs of the season. 3…No-hitters thrown last week. Fresno State’s Greg Gonzalez and Lehigh’s Greg Angelo each tossed 7-inning no-hitters, while Kevin Johnson of West Florida fired the second 9-inning no-no of 2010. Gonzalez is the first Bulldog to pitch a no-hitter in 34 years, while Angelo had the first at Lehigh since 1988. 11…Shutout innings pitched across two games by North Florida’s John Atteo. He earned the win with two scoreless innings in Tuesday’s 3-1 upset of Florida State, and then fired a complete game shutout in Sunday’s 10-0 win over USC Upstate. 1,201…Career wins by UNF head coach Dusty Rhodes-who will retire at season’s end-with Atteo’s Sunday victory.